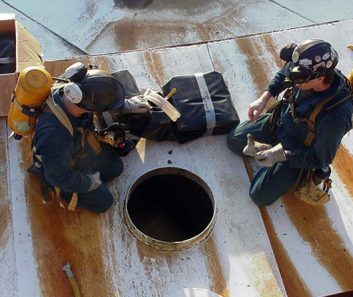 Mesa ETP custom designs floating roof pontoon repair liners pontoon liners for floating roof storage tanks. 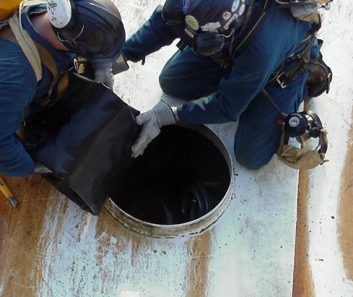 Mesa ETP floating roof pontoon repair liners are inserted into floating roof pontoons that have taken on liquid from the storage tank. The pontoon liner is installed inside the pontoon and inflated to displace product and keep the roof afloat. Mesa ETP’s floating roof pontoon repair liners are most commonly used in pontoons that have begun to leak. 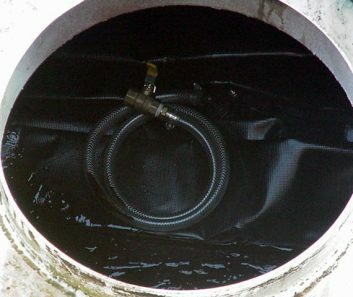 Leaking pontoons can fill with product from the tank causing the floating roof to sink. Sunken roofs can cause a range of undesirable situations in the tank. The floating roof can be severely damaged if it sinks into the product. 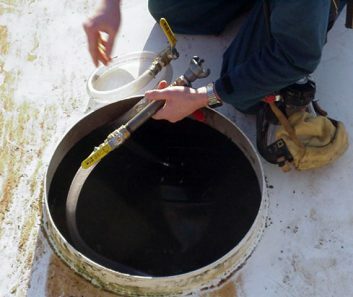 A sinking roof can damage the shell and floor of the tank. Floating roof pontoon repair liners provide additional buoyancy to pontoons, allow for stabilization of the floating roof, help prevent sunken roof, avoid tank and roof damage, avoid environmental hazards or violations, and avoid costly cleanup and decontamination procedures.